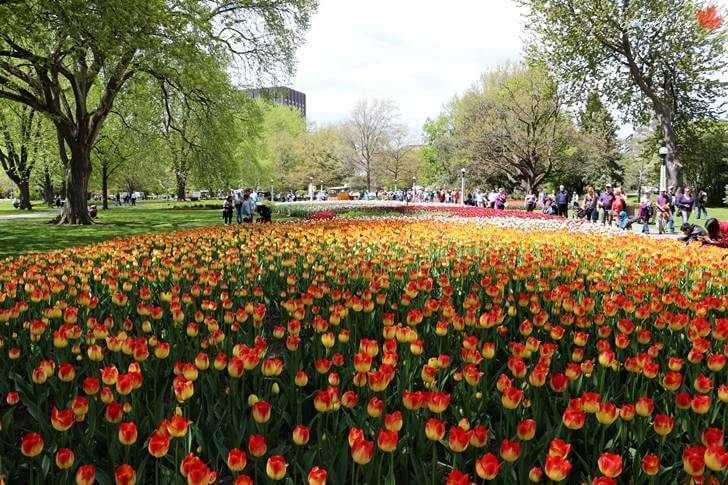 The Canadian Tulip Festival takes place annually in May in Ottawa and is one of the world’s largest tulip displays, with over a million tulips in over 100 varieties blooming in the National Capital Region. The festival launched in 1953, celebrates the Capital’s official flower as a symbol of international friendship and peace. Here is the Canadian Tulip Festival Legacy. After Nazi Germany invaded the Netherlands on May, 10, 1940, the Dutch faced a brutal occupation. Young men, Jews and other vulnerable people went into hiding for months and even years. Those caught by the Nazis were imprisoned and deported to concentration camps. During the war, 75 percent of the Netherlands’ Jewish population were killed. In all, 230,000 Dutch died from violence, starvation and the privations of war. Canada was a refuge for Princess Juliana during the Second World War. She arrived in June 1940 with her two children, Princess Beatrix and Irene. The family rented a house in Rockcliffe Park, attended by a small household staff. Juliana’s husband, Prince Bernhard, visited often. During her stay, the Princess lived humbly, doing her own grocery shopping, making beds, vacuuming and shovelling snow. Her children attended the nearby Rockcliffe Public School. Princess Juliana travelled extensively as a representative of the Netherlands, encouraging support for the war. In Canada, she hosted foreign dignitaries at her home, and visited the Royal Netherlands Army, stationed in Stratford, Ontario. She also volunteered in the Ottawa Superfluity Shop to raise funds for the Red Cross by selling second-hand items. Princess Juliana worked tirelessly to generate support for her people, never failing to emphasize their plight. Princess Margriet was born on January 19, 1943, at the Ottawa Civic Hospital. Her name means “daisy”, a flower that symbolized hope and resistance in the Netherlands during the war. In order for the baby to be born with full Dutch citizenship, the Canadian government designated Princess Juliana’s maternity suite as “extraterritorial”. The day after the birth, the Peace Tower rang out with Dutch songs, and the Netherlands’ flag was raised over Parliament. The tulip has become the symbol of friendship between the Netherlands and Canada. It celebrates Canada’s dual role as liberator of the country and safe haven for Princess Juliana during the Second World War. 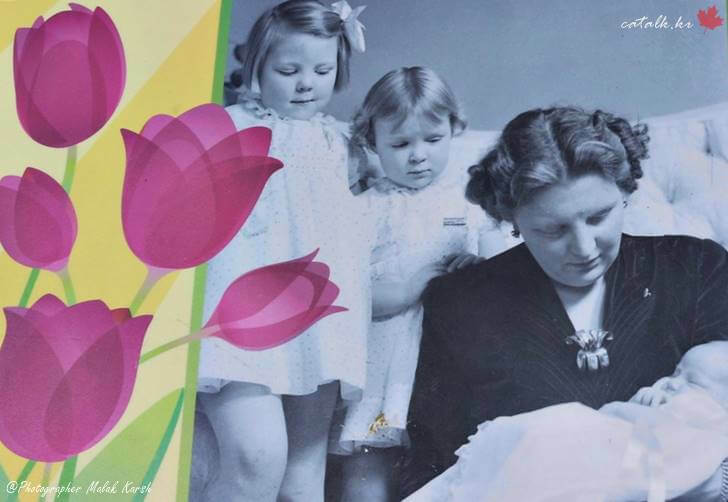 In thanks, Princess Juliana gave 100,000 tulips bulbs to Canada after the war. Since then, the Dutch royal family and the Dutch Bulb Growers Association have each sent 10,000 tulips bulbs to Canada every year. 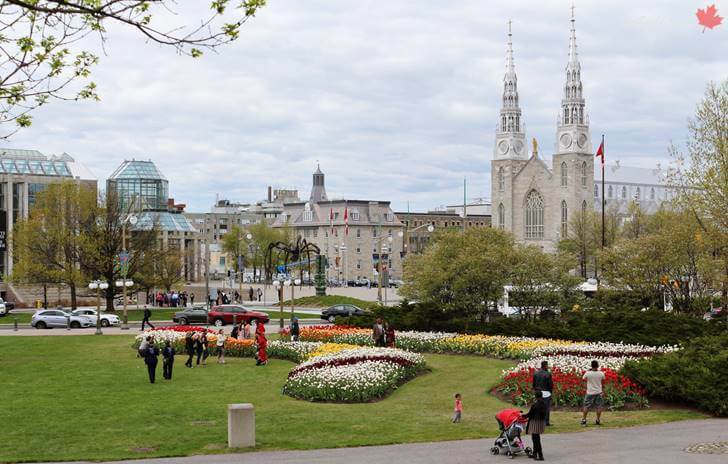 Every Year, the National Capital Commission (NCC) plants thousands of bulbs in tulip beds throughout Canada’s Capital Region. Different varieties are selected – for colour,shape, height, texture and symbolic significance – and planted in the fall to bloom every spring. Because tulip varieties are bred and sold according to demand, the NCC chooses to plant certain symbolic varieties, such as Canadian Liberator, every year to ensure their continued existence.